With roughly 20,000 participants globally, Microsoft’s annual company-wide hackathon is the largest of its kind, giving employees and interns a chance to apply their problem-solving skills to projects that deliver social impact. 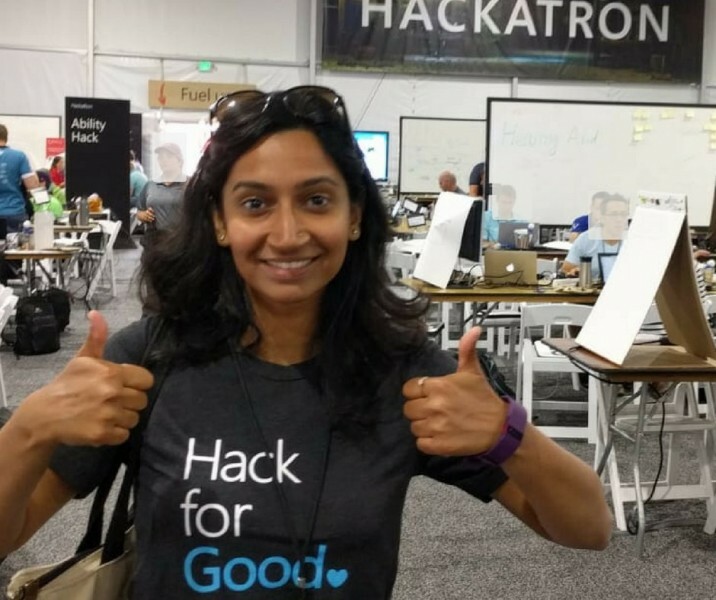 The “Hack for Good” track of the event allows participants to team up with a nonprofit organization to address a specific need. This year, engineers worked with Pratham to fix an issue related to Pradigi, our digital learning app. Pradigi offers children access to high-quality, interactive content that can help improve their basic literacy and numeracy skills, support their subject-specific competencies, and promote their ability to think critically and work collaboratively. Currently, 25 games and more than 500 videos are available for three age groups in 11 Indian languages (Assamese, Bengali, Gujarati, Hindi, Kannada, Marathi, Odiya, Punjabi, Telugu, Tamil, and English). One game teaches children to read and write using a method similar to karaoke. However, several hours of potential content was not timestamped, rendering it unusable, and the act of doing it manually was untenable. Over the course of the week-long challenge, the team searched tirelessly for a solution, experimenting with voice activity detection and speech recognition technologies to automate the process.